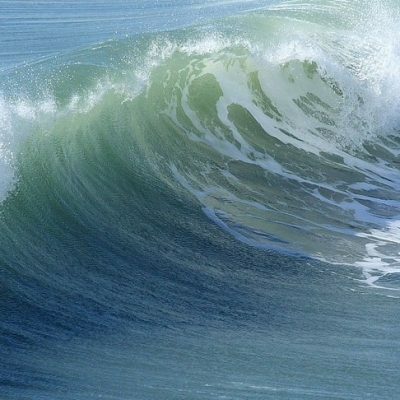 Happy Birthday Seasearch! 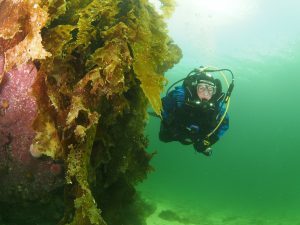 2018 is a special anniversary year for volunteer survey divers. 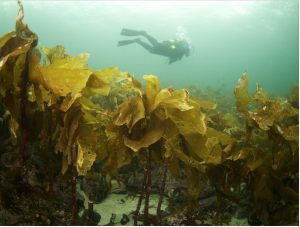 Seasearch is celebrating its 30th anniversary which coincides with the Inverness Sub Aqua Club’s 50th anniversary. So 2018 is quite some year. 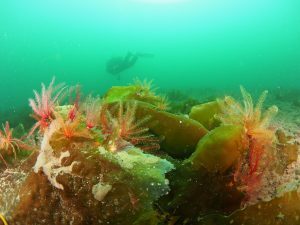 Sea Change’s mission is to survey and protect the Wester Ross Marine Protected Area, now just a couple of years old, so what could be better than celebrating these anniversaries with a collaboration between us to achieve a survey? 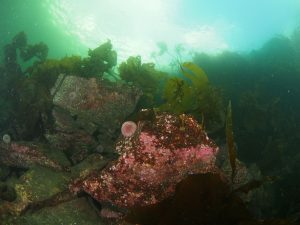 With the survey supported by Tanera Island too! 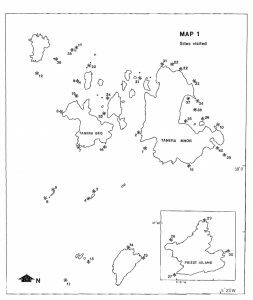 Owen Paisley the Seasearch West coordinator came up with the brilliant idea of re-doing a 1981 survey around Tanera and the Summer Isles as a way to celebrate the 30th anniversary of Seasearch and achieve Sea Change’s aim to continue to survey the MPA. 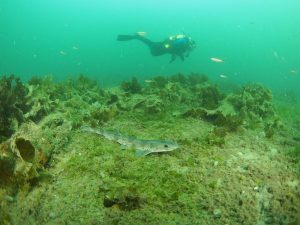 This inspired idea came out of the fact that The Underwater Conservation Society had evolved into Seasearch, and these UCS divers had supported the Frances Dipper’s 1981 survey called Sublittoral survey of habitats and species around the Summer Isles: Ross and Cromarty. 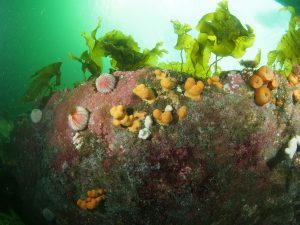 This meant Seasearch would be re-doing one of their earliest surveys and producing a really fascinating comparison study of what had happened in the Summer Isles as well. This was to be an exciting glimpse of unseen worlds in various stages of recovery and change. 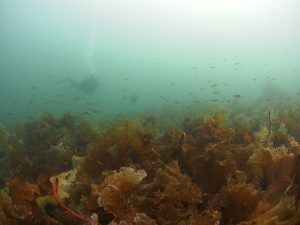 In time a film about the survey will be made – sharing this more widely and including some of the science reporting when that is completed. 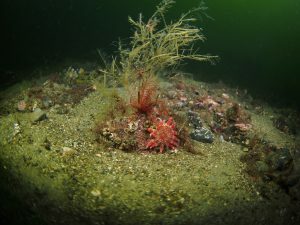 Wester Ross Marine Protected Area was legally born (ratified by the Scottish Parliament) on the 23rd of March 2016 as one of a handful of MPAs set up to protect maerl. 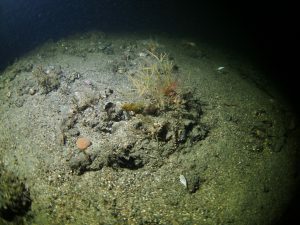 Since our first survey in August 2016 we have been building a fascinating picture of what goes on beneath the waves at this early stage of recovery, in this wee patch of protected sea. 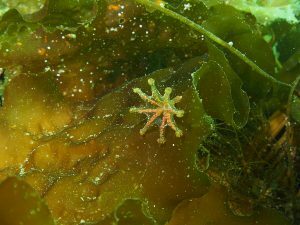 We hope the collaborations we have built to achieve this will be the start of many survey dives together, expanding these with wider support from the community – especially given the enthusiasm expressed by the National Seasearch coordinator, at this year’s Gartmore gathering, for working with all the marine community groups in the Coastal Community Network. 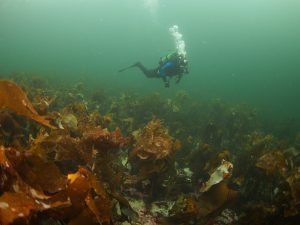 Owen Paisley of Seasearch West assembled a truly excellent group of divers from all over the UK (chosen for camera skills and knowledge of species) in support of Sea Change Wester Ross’s intention to map and monitor the habitats and species. Huge thanks goes to Owen for his immensely hard work as Seasearch coordinator. He went beyond the call of duty! 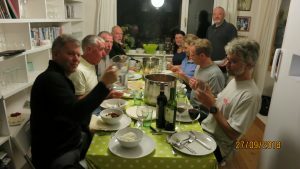 The local community supported the survey week in numerous ways – helping with cooking, accommodation, mechanical support, moorings, dive advice and helping coordinate and plan the survey dives. Thank you’s are listed at the end. A donation by Tanera Island has covered many of the costs for which we are enormously grateful. 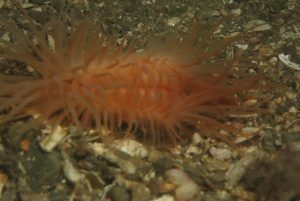 A RARE SEA CUCUMBER (Parastichopus tremulus ) An unusual deep sea, Arctic species of sea cucumber, which is normally not found in UK inshore waters within diving depth but was found near Tanera. It is in the southern edge of it’s normal range. 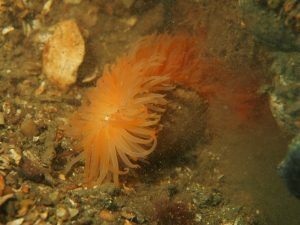 There are a couple of records from Carna recorded by Seasearch divers way back in 1998, then one off the north end of Rasay in 2004 and a cluster of 11 between Coll and Barra filmed by ROV in 2010 then nothing much. 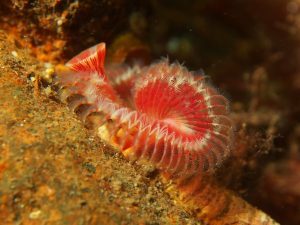 There are also some old records from Loch Boisdale and Sanday but nothing from the Summer Isles so a nice new record for Wester Ross. 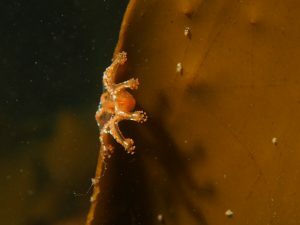 Photo below of Owen Paisley holding it courtesy of Frank Melvin (diver-cameraman) who videoed it! 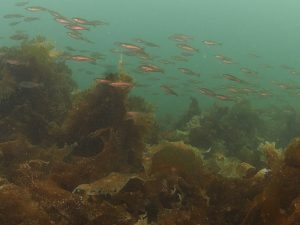 FINFISH RECOVERY – everywhere the team dived in the Summer isles shoals of saithe, pollock and juvenile cod were noted by the dive leader Owen Paisley. 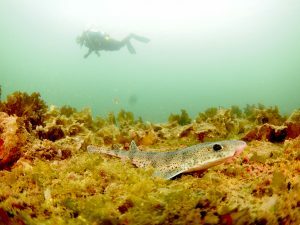 This is significant for Wester Ross Marine Protected Area because these fish are signs of recovery and that the ecosystem is bouncing back. 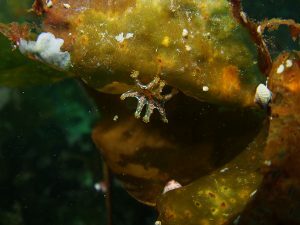 It is to be noted that the photos show that these shoals are around seaweed habitats. 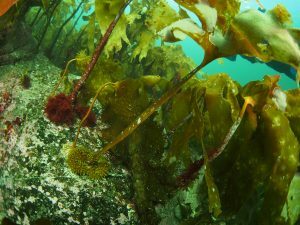 Great news for all those who worked very hard to lobby for a ban on dredgers within the MPA. Good for Sea Angler’s too. 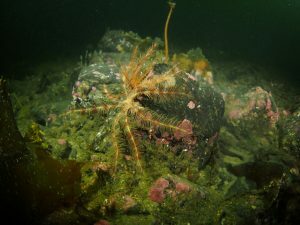 SCALLOP SPAT was widely noted by the divers which underwrites what the scallop divers have been reporting locally too. More abundance in the future. 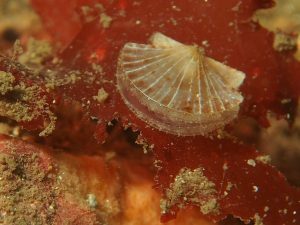 Great news for local scallop divers! 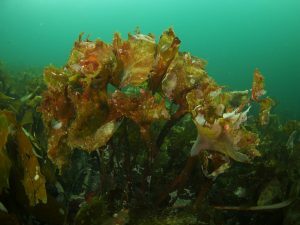 MAERL BEDS & ALGAE: Whilst we do not yet have pictures, Owen the Seasearch dive leader was concerned about the amount of algae covering the maerl in the shallow channel between Tanera Beg and Fada. 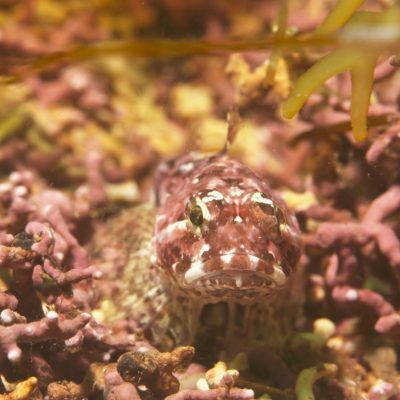 He suggested it would be useful to keep a watch on the condition of maerl there, given that the algae covering the maerl may obscure the light it needs. 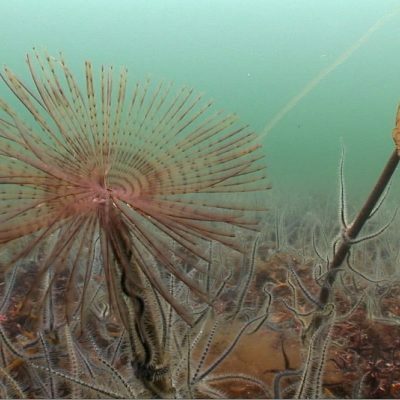 If any local scallop divers fish in the channel please keep us posted on whether the algae dies back in the winter… it would be very useful to keep a watch for the future in order to see what is happening. The question is could this be a result of extra nutrients in the area? This will not be known until more research is done. FLAME SHELLS AND HORSE MUSSEL BEDS. 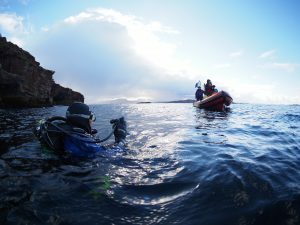 Due to high winds we were forced to abandon dive ambitions around Tanera & the Summer Isles for a few days and take refuge in Loch Broom where the divers did a number of shore dives. 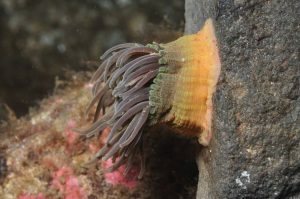 This provided the perfect chance to see the flame shell beds which SNH had designated as a Priority Marine Feature and one of the reasons for the Marine Protected Area status. They are legally protected in order to ‘recover’. 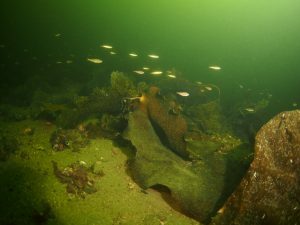 During this dive, the team also identified horse mussel beds in the shallows. 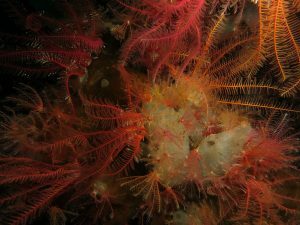 Like the flame shells these are also Priority Marine Features. 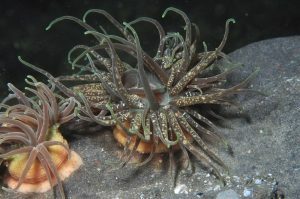 It is good news that they are still there and reasonably extensive too. 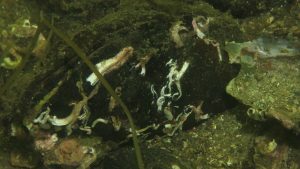 The divers managed to extend the known area of flame shells as well as confirm the presence of this horse mussel bed (not reported since 1991) and of course now the community can see our very own Loch Broom flame shells on video thanks to a particularly active flame shell in Loch Broom trying to escape ISAC diver Lynne MacKay who filmed it. 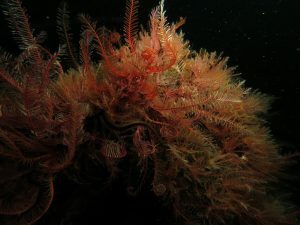 We hope to extend the knowledge from the 2018 survey with a follow up in 2019 and perhaps continue to map and monitor the flame shells, horse mussel and maerl beds….meanwhile this is a glimpse of what is down there. 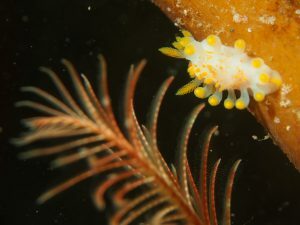 Watch out for short clips of video of the Loch Broom Flame Shells on Facebook by Rob Spray too. 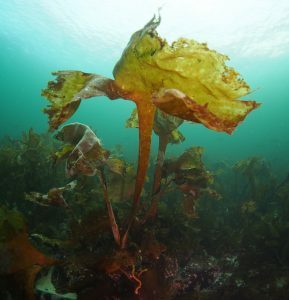 Other highlights include pictures of the amazing kelp and seaweed habitat which rings Tanera and the Summer Isles courtesy of Rob Spray (a brilliant underwater photographer and diver) please scroll down to the bottom after the credits. 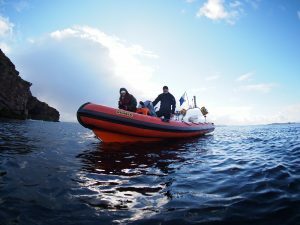 BOAT & COMPRESSOR – A very special thanks indeed to Inverness Sub Aqua Club & Caroline and Steve Bishop’s dive club (Bingham Dive Club) for supplying boats as well as compressors. Thank you to Neil MacInnes from ISAC who ferried their boat here and back and David Moore and Hilary MacKay who brought the compressor. 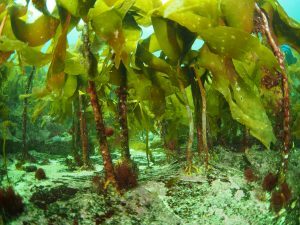 Thank you to Tanera Island for covering many of the survey’s basic expenses – for which we are enormously grateful. 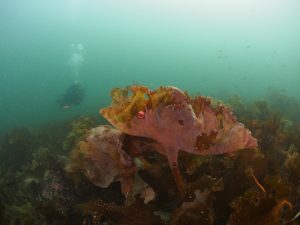 Sea Change appreciates all the effort that goes into these surveys from the volunteer divers – especially filling in painfully detailed biodiversity records which help us understand what is happening in the underwater world as well as share photography and video with the wider public. 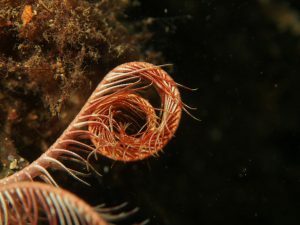 Your photos and film help us show the extraordinary life within the Marine Protected Area and encourage protection so a massive thank you ! ACCOMODATION: Peter and Midge Drake, Helen Searle, Sara Nason. 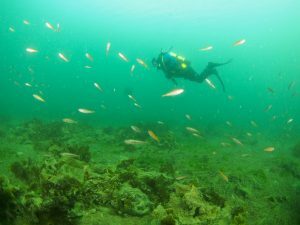 THANKS also to helpful support from Sam Walton, John Wilding, Tim Loftas, Andy Jackson (diver cameraman). 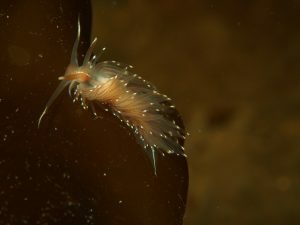 The 2018 Seasearch-Sea Change survey plans have been generously supported by the Inverness Sub Aqua Club who have helped with a number of Sea Change surveys in 2017 too. 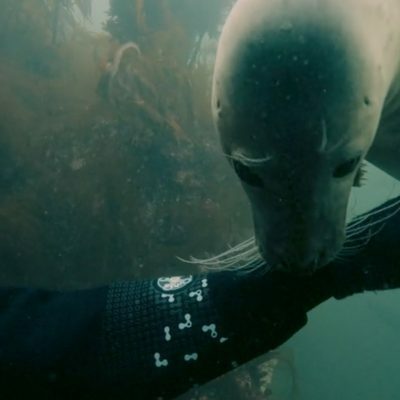 This was on top of ISAC’s help with our earlier June 2018 survey with SubSea.TV & The Scottish Creel Fishermen’s Federation (SCFF). 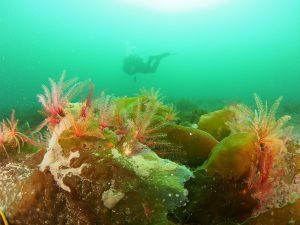 So a very special thanks goes to ISAC especially as some of their divers have been surveying the area since the late 70’s and have generously helped Sea Change continue this in 2017 and 2018 – see previous blog Seasearch & Dives of Discovery in the Summer Isles Archipelago).